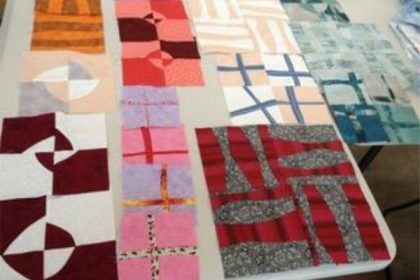 A recent successful workshop produced these excellent results. 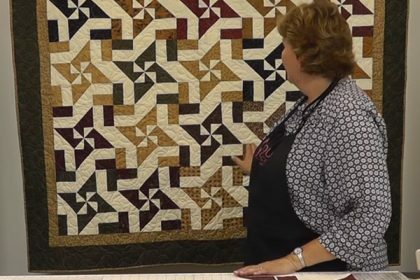 For the full write-up see the September 2018 Quilters Quarter. 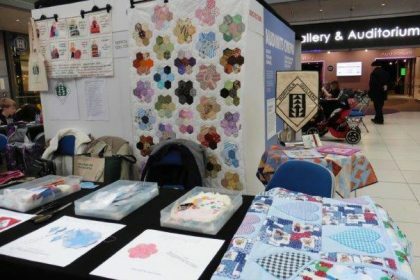 Norfolk Quilters were recently involved with The Makers Festival at The Forum in Norwich, demonstrating English Paper Piecing. 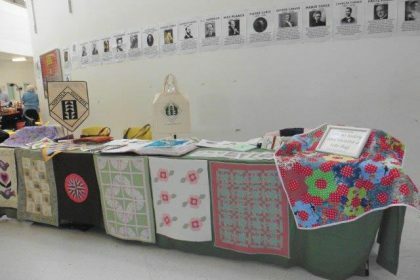 The photo shows the NQ stand where visitors were able to try their hand at this traditional technique. 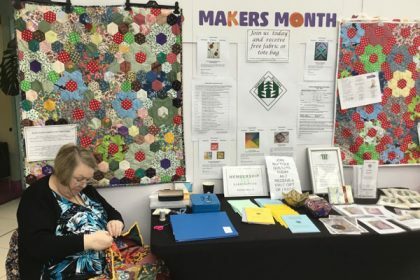 Norfolk Quilters were recently involved in The Makers Festival at The Forum in Norwich during which Betty Stacey held a mini workshop. 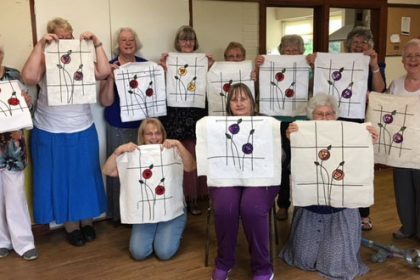 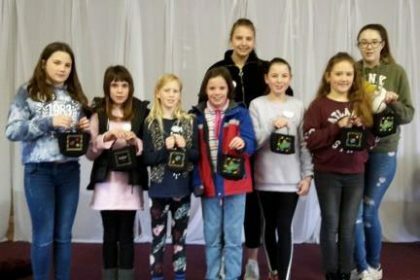 These six ladies are proudly showing off their completed makes. 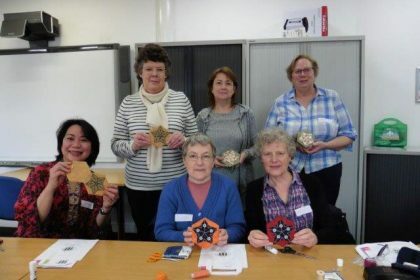 This photo shows some of the finished blocks from Heather Hasthorpe’s (re-scheduled due to “the beast from the east”) workshop in April, where she taught the Tiger, Cross and Circles blocks. 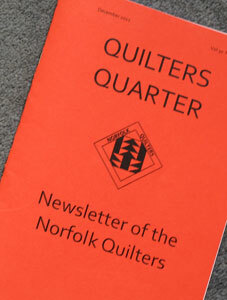 Norfolk Quilters’ events are displayed with this symbol Before booking a Norfolk Quilters workshop please read the General Instructions for Workshops at the bottom of this page.